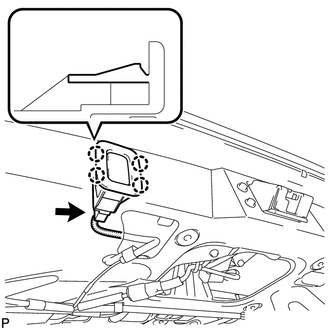 (b) Disengage the 4 claws and remove the power back door closer switch assembly. 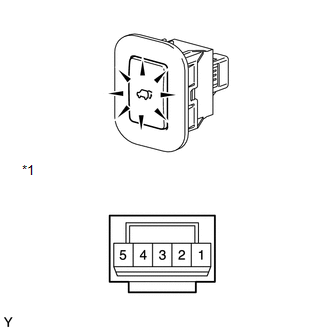 (a) Check that the switch function. 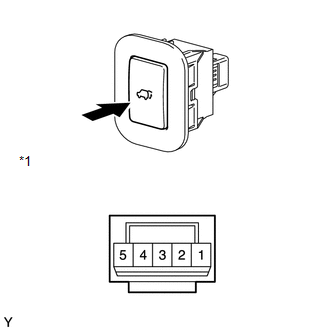 (1) Apply battery voltage to the power back door closer switch and check that the switch illuminates. 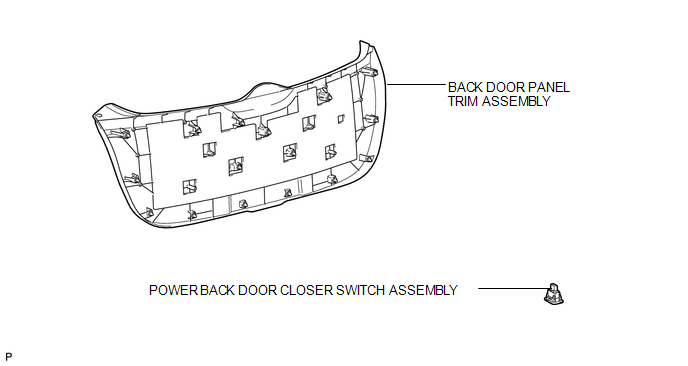 (a) Engage the 4 claws to install the power back door closer switch assembly.